Seton's Asset Tags Mylar are backed by our 100% Satisfaction Guarantee! Select from a wide variety of Asset Tags Mylar at competitive prices. Plus most of our top-quality Asset Tags Mylar are in stock and ready to ship today. Seton’s best selling asset tags are your top choice for tracking and protecting high-value equipment. With full customization options, these tags are designed to meet your exact specifications. 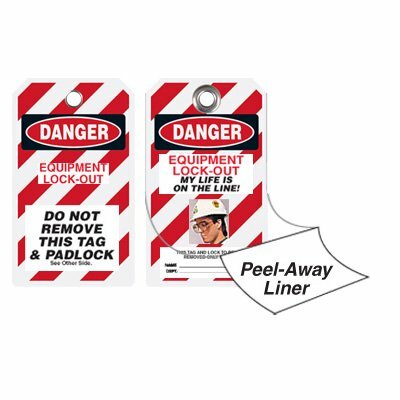 Track and protect your most valuable property with Seton’s best-selling and fully customizable tamper-evident asset tags, ideal for combating theft of high value assets. Optimize the management of your IT equipment by utilizing our Help Desk Tags, specifically designed to work with office and electronic equipment such as laptops, cell phones, printers and more. Seton's best selling Asset Tags specifically purposed for Sarbanes-Oxley compliance. Easily track and manage corporate equipment, while keeping accurate records of all your inventory by leveraging our all-purpose barcode tags. Your most cost effective barcoded asset identification solution to track and protect high-value equipment or inventory. Available in stock or fully customizable with a bar code. Track and protect your most valuable property with our tamper proof asset tags to combat against theft. Available in stock or fully customizable. Your most cost effective solution to track and protect plant, property and equipment at your facility. Available in stock or fully customizable. Our toughest and most resilient asset tags are designed for the most extreme conditions in highly industrial or caustic environments such as labs, hospitals or distribution centers. There’s no job too tough for our tags to handle. Tags as tough as the equipment they protect, SetonGuard® boasts high-performance industrial design that thrives in the harshest environments. Build and customize your tag without compromising the needs of your unique equipment. Don’t let the shape of your equipment stop you from comprehensive asset management. These asset tags are designed to adhere to curved, uneven surfaces, offering the same protection and trackability that you use for all your other property. Customize your valve tags with stamped valve numbers, location and pipe function. Identify valves with durable brass valve tags; choose from a wide range of popular legends. Tags comply with NFPA and OSHA standards to identify and communicate chemical hazards.